by Petra Raspel1 Comment on Practice routines for singers – clarity is key! Singers, how do you practise? I would be really interested to know. Please be honest, I don’t want to know what you THINK you should be doing, but what you actually DO! I received many responses from vocal coaches interested in the answers I might receive – but not a single one from a student or singer! This could be down to a multitude of reasons: Not reaching the right audience with my question; not caring about practice; not being interested in providing an answer; not really knowing an answer; having an idea but being “embarrassed” in case it could be “wrong” – the list is probably endless. I have the sneaky suspicion though that there are still a lot of singers out there who honestly don’t know how to practise. Practice needs to be practised (! ), and it is our job to show students how. Simply forgetting about the issue won’t help in the long run. To sing a song from beginning to end, over and over, rarely solves a problem. Do you warm up beforehand? Do you work technically? Do you analyse a song and then pinpoint what exactly needs improvement? Do you then, at least occasionally, only focus on one aspect you want to improve on? 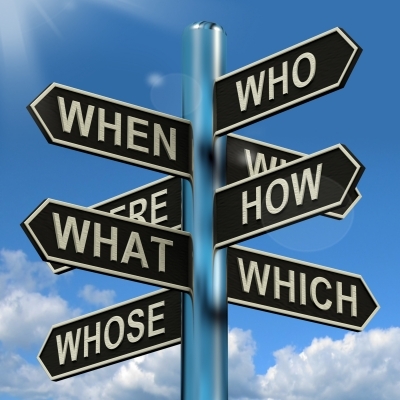 Are you clear about your WHYs, WHATs and HOWs? Practice routines need to be tailored to the student and what they need at any given point. If you are looking for a list why, what and how YOU should practise, I have to disappoint you: I cannot tell you because I don’t know you and your voice. There is common ground however. The big one is CLARITY. Ask yourself what you are trying to accomplish by practising, because there is more than one reason for practising. Only deliberate practice is effective. Although some may say that practice is never fun, I would actually challenge this opinion. You can very well go into a practice session and decide to just enjoy the music and not to worry about what goes right (or wrong). Some may say this is not practice, but in my mind it still is. It is nurturing the inner child and artist – something very essential to every musician. So if that’s your WHY, you don’t even need to worry too much about the WHAT and HOW. A lot of “singing through a song”-students probably fall into this camp – and it is absolutely fine. Just be aware that you are practising to play (in the literal sense of the word! ), not necessarily to improve technically. So you have part of your WHY, but this is already trickier: You might be a very confident performer who feels secure on stage, but you have technical problems. Or you might be a technically great singer who dies with stage-fright. Be specific: WHAT exactly causes the problem, and WHY (because this determines what you need to practise): One line in a song? One particular note even? Your breathing gets shallow when you’re nervous? You and your band can’t quite gel in one particular song? Your performance feels a bit blah and lifeless? Only if you are as specific about the WHY and WHAT, you can start to work on the HOW and use the exercises or strategies your coach(es) gave you. If you don’t know about the HOW – ask. We would rather have you asking us questions than doing ineffective guesswork at home. Again, WHAT is causing the problem and WHY? Is it your sight-reading? Do you feel that you don’t sing a particular style very well, and it doesn’t sound “right”? Do you have problems with keeping a steady pulse, or the rhythm of a song? Be specific, and then just work on one task at a time – this can even mean not to sing at all, but to read or listen. Vocal technique is a vast field – it can mean to extend your range, to even out your sound (or not! ), to eliminate “problem notes”, to work on vocal endurance/stamina, to create the “right” vocal sound for a certain musical style – you get the picture. Again, only if you are clear about the WHAT and the WHY, you can start working on the HOW. Your vocal coach will give you the tools to do this, but there is usually not much point in just “singing through songs” – you will need to be more specific and focused than that.